Nick Woods is an agent with S3. S3 stands for "Shield, Safeguard, and Shelter" and is a paramilitary organization tasked with doing the really hard things the government is not free to do. It is run by a particularly tough Senator with a lot of clout on Capitol Hill and, with the power of S3 behind him in the shadows, even more outside the Beltway. To say that Woods is a happy member, at least at first, would be really missing the mark. At the beginning, he is a target, not a member. And once he joins, reluctantly, he knows sleeping with one eye open is the only way to stay breathing. Woods was a soldier during the mid 80s, an especially gifted sniper who also possessed remarkable survival skills. He needed them when it was decided by the "powers that be" that the quagmire that Afghanistan had proven for the Soviets was an opportunity to hit them without starting a world war. 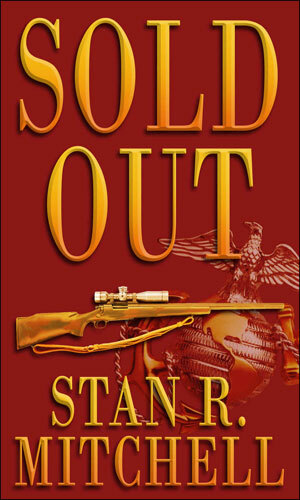 He and his spotter were sent into that country and, soon, into neighboring Pakistan to whittle down the Soviet forces. The number of Russians they were able to dispatch was impressive, enough to get a manhunt going for them even though their identities were never known. Then came the time that these "powers" thought the time to end the campaign had come. They also felt it a good idea to clean up after themselves and using the Soviets to do that was a good idea. Woods and his spotter were betrayed and now alone in the mountains of Pakistan with an entire army hunting them, they were as good as dead. For the spotter, that was true. Not so much for Woods. Woods is a survivor. He stayed that way by becoming incredibly paranoid. He slowly and cautiously made his way back to the States, assumed a new identity and then tried to start a new life. This new existence was filled with watching anyone and everyone for the time when "they" would come for him. He became the poster child for the paranoid. Look up the word in the dictionary and you saw his picture. If a car passed his house twice in a week and did not belong to a neighbor (he had few), Woods would know about it and be even more vigilant. If a patron in a restaurant (which he seldom visited) let his gaze fall upon Woods, Woods would feel it and begin to work out the best way to eliminate the gazer just in case it was needed. Years passed and still his watchfulness remained. Then he met Anne and slowly, gradually, she brought him down from the mountain and helped him become more "normal". She became his life and life was good. Then "they" came and Woods learned the problem was not that he was too paranoid but that he was not paranoid enough. How did Woods become a member of the same group that came after him makes for a very interesting series. 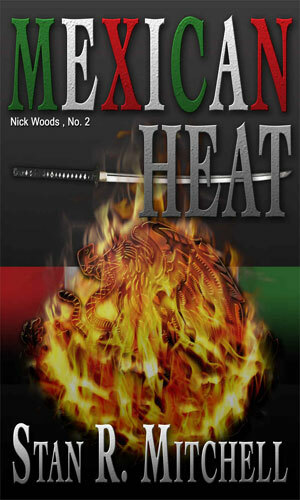 Years ago, Nick Woods completed a top-secret mission behind enemy lines. Now he is happily in civilian life when a reporter breaks the story and suddenly the reporter and Woods are being hunted by people in the government. Nick Woods is living in the mountains of Montana waiting for the government to come kill him. When people come for him, though, it is to ask for help to stop Mexico's richest man who is about to do something that could hurt both countries very much. 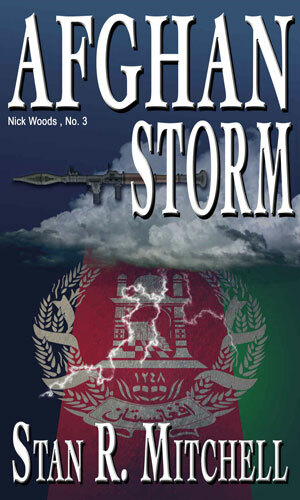 Nick Woods and his team in S3 are sent to Afghanistan to stop a group of Taliban who are ready to attack and conquer the capital. 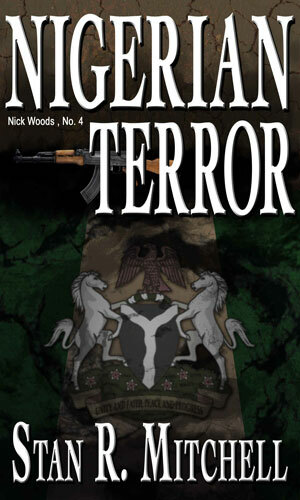 S3 sends Nick Woods to Nigeria to take on Boko Haram but the leader of that terrorist organization has a plan far more deadly than anything suspected. When I finished the first book, I found I was watching each car that drove past. That is how paranoid the author made me feel, which is a bad thing and also some quite good writing. I am not sure if the author had intended there be a series. The first book had a pretty solid ending to it and I wondered how in the world it could be turned into a series with such a "final" feel to it. But the author managed it quite well and I was impressed with his methods. I was also impressed by the way that he kept Woods, a man made paranoid by the fact that a whole lot of different people really had been after him, sharp and on edge and just this side of sane. At the end of each book, though, I found I needed some serious "chill" time.